What exactly is a backpackers’ hostel and how is it different from Hotels? Does India seriously need Zostels? We have been asked these questions a lot of times now and here’s an attempt to answer them objectively. Some misplaced notions about hostels or the horror movie, Hostel, often misguide and confuse people as to what a hostel even is. We’ll help you. Remember your college hostel dorm? You’ll have roommates and will share spaces like the washroom, kitchen and common room. Some bigger hostels may even have bars and restaurants, and sometimes even movie theaters, rooftop lounges and pools. Give us some time, and we’ll bring all this to reality at Zostels with more spaces to meet, interact, experience and have fun. Most of all, hostels are a great place to meet and befriend new people. If you do not have a prior experience of staying in a hostel and have ever stayed in hotels only, let us help you by bringing out some differences between hotels and hostels. First, hostels are more social. While in a hotel lobby, guests tend to work on their laptops or read newspaper in peace, hostel common rooms are livelier. Guests share stories, play games, watch television, play guitar and plan upcoming travel with new friends. We have our own ‘The Zostel’ game for you to play, but you’ll have to come to a Zostel to try it out. Second biggest difference is privacy. As you’ll be paying much less at a hostel, you’ll have to sacrifice some privacy. Most of the spaces in a hostel are shared such as bedrooms, bathrooms, kitchens and lounges. If you want to have some alone time, hostels are probably not the best choice. But one way to get the best of both worlds is by trying to stay in single or double private rooms of hostels or by splitting your stays between hostels and hotels. Zostel is looking into getting some privates too for you. Do let us know in comments if you would like to have some private rooms along with dorms. Another major difference is price. Since hotels provide luxurious amenities, complete privacy and a polished ambiance, you pay a much higher price. Even budget hotels are significantly more expensive than hostels. Sharing spaces with others lowers the price dramatically for hostels and multiplies the experiences. Hotels almost always include amenities such as soap, shampoo, and lotion. These items are generally not offered in hostels, so you’ll need to pack your own toiletries. Check with your hostel to see whether towels are provided for free, rent, or not at all. Zostel provides towels for free at a nominal deposit and refundable fee. Many people are apprehensive about sharing a room with people they don’t know. Again go back to the college dorm scenario. The first day, you didn’t know your roommate but soon you became friends or at least acquaintances who could talk over breakfast. Hostels are similar. You will get to interact with other travellers in your room, giving you the opportunity to make new friends if you want to. This is especially valuable for solo travellers. It becomes so easy to find that companion for sightseeing or dinner. Since dorm sizes vary, so you can choose how many people you want to share your room with. Though beds in hostel dorms can range between 2-100, most dorms range from four to sixteen beds. As hostel culture is social, travellers staying there are friendly and enjoy interacting with their hostel mates. Don’t be surprised if a complete stranger invites you to go hiking or clubbing. That’s just the personality of the hostel traveller. If you want to socialize with other travellers but still want the privacy of your own room for sleeping, book a single or double room. Private rooms are more expensive than dorms but are still cheaper than a hotel. Do you still have in mind Why Zostel? Secret: We are also creating city-maps, detailing where to go and what to see! You’ll have excellent tour guides accessible to you at all times, thanks to Captain Zo, the savior of all Travelers. 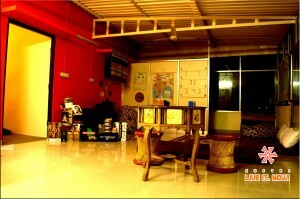 Though typical Hostels lack the luxury and grandeur of a hotel, but not at Zostel. We are working to get you private rooms, rooftop lounges, stylish interiors, scenic balconies, private rain showers, foam mattresses, swimming pools and maybe something more. While all this is just an idea for now, but we’ll make sure that you and India get the best that you deserve. Thanks to We Hostels for helping us create this blog. All this is fine, but do you still wonder what is Zosteling?